Warm eyeshadow palettes have beens super popular lately, with no sign of slowing down. I personally love the trend, as I think it looks great across skin tones and adds a bit of heat to your look. Rocking warm eyeshadow is also a great way to bridge your summer and fall looks. Living in a warm weather climate, I’m always unsure of when to actually “switch over” to my fall makeup go-tos, so I’ve been wearing warm eye looks during this transitional season. 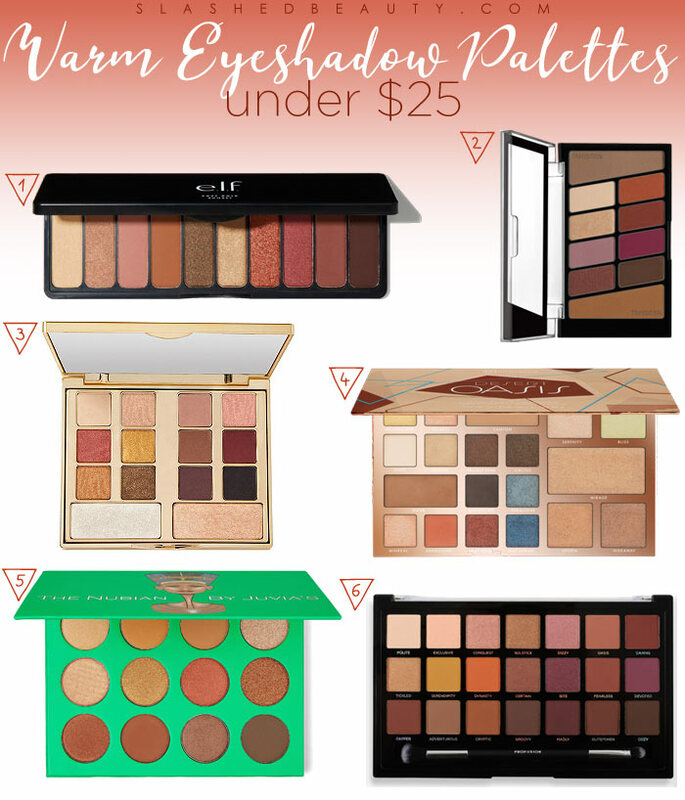 Whether you usually reach for warm shades anyway, or you just want to try out the trend, check out these five warm eyeshadow palettes under $25! Click the picture of the palette to find it online. This new rose gold palette from the brand is a fresh take on their popular original with a warmer and deeper color scheme. There’s a good mix of shimmer and matte so you can look to this palette for complete warm eyeshadow looks that are high intensity. The palette has a great mix of shades for each step in your eyeshadow routine— light highlight shades, medium lid shades and deeper shades to add dimension to your crease. Don’t be fooled by the price tag— this palette packs a hot punch! It features burgundy and rusts that will help you achieve a beautiful fall-ready eye but with lighter accents to still serve the flare of summer. I love that they’ve included two large transition shades in this palette so that you can work them into each look without worrying about hitting pan too quickly. This has been my favorite release by Milani in the past year. This face & eye palette features a beautiful standout gold, rust, burgundy and bronze amidst other natural shades to finish the look. Plus, two large highlighters that you can use on both the face and eyes. These shadows have high-end performance but a friendly price. 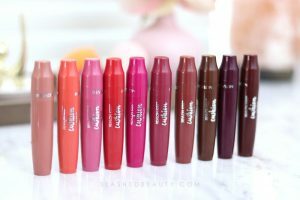 See my full review and swatches here. I’m a recent Juvia’s Place fanatic, having just tried some of their palettes that just launched at Ulta Beauty. You’ve just gotta try it to believe it— their shadow formula is so overwhelmingly pigmented and blendable, it blew my mind! The Nubian palette is a warm neutral palette that will give you many every day looks, but you’ll be able to easily kick it up for some drama. Another palette that can be used both on the eyes and face, Desert Oasis from BH Cosmetics features a beautiful beachy color scheme with vibrant oranges and rust shades, a pop of silver and pink, and a stand-out ocean blue. You also have larger pans that feature multi-purpose highlights and transition shades. I love that brands are including different pan sizes in palettes to maximize their use! 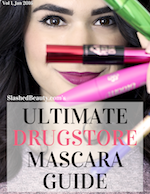 Profusion is still an up-and-comer on the beauty scene, but has definitely made themselves known at Target. The new Siennas palette features a whopping twenty one shades with a balanced range of tone and finish. I love the pop of yellow and bright orange in this palette to really add some fun to a look. What’s your favorite warm eyeshadow palette? I have been a huge buyer and fan of Profusion eye shadow palettes for years now. The texture and quality is great. Very pigmented and blends well. They are very affordable too. I know I have at least 50 of their palettes . Most are a lot older ones. Just goes to show you that just because it has a good low price, doesn’t mean it is great quality. Expensive doesn’t always mean it is a good product either.